What happens at a dog or cat dental appointment? After a thorough oral exam at the veterinary office, blood will be drawn to check liver and kidney function. If after the exam and bloodwork the doctor deems the dog or cat to be a good candidate for anesthesia a periodontal scaling/polishing appointment is made. On the day of the scaling the dog will then be anesthetized for the cleaning. A technician will then begin scaling and polishing with professional equipment to remove plaque from underneath the gums and the surface of the teeth. Full dental radiographs will then be performed. If necessary, tooth extractions may also take place at this time if a tooth is loose or there is a tooth root abscess on radiograph. 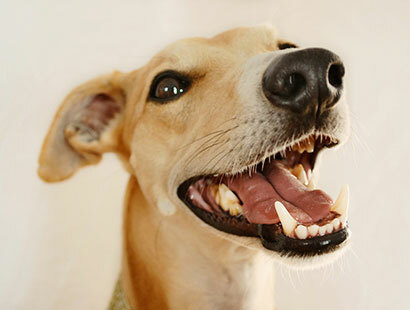 It’s important to clean your dog’s teeth in between veterinary appointments and it is easy to do at home. Brush your dog’s teeth ideally once per day with a regular toothbrush (or a specialized dog toothbrush) and only use toothpaste specifically formulated for dogs which is available online and at pet supply stores. (Do NOT use regular toothpaste, fluoride can cause dogs to vomit). If you have a puppy, be sure to get them familiar and comfortable with tooth brushing right away.